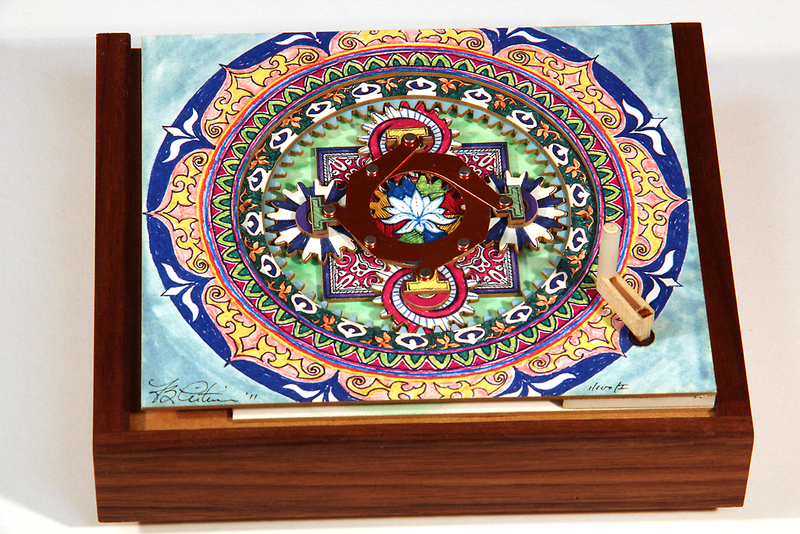 Inspired by the sand mandalas made by the Buddhist monks of Tibet, this piece too can bring a moment of serenity. Shown with optional Universal Display Base. Also available with an Integrated Hardwood Base - Starting at $75.